Hi!!! right now after three days of tennis trading I have finished with challenge two. I have finished my challenge with profit, but profit is not so good that it could be after such strong start. I have reach 146€ of safe profit. That's means my pure profit is 146-50=96€. In this challenge I understand how betting amount affects my betting quality, when I am reaching +100€ amount I am starting make bad bets. Need to fix that problem if we have bigger future plans. Sorry for my not good English language, more information about my challenge two you can find in youtube. 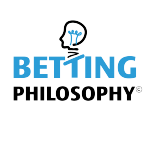 Search for BettingPhilosophy. Let' go green, and have a nice day. About new challenge. My new challenge idea the same (from 50€ make as much as we can). I will use same betting - trading tactic I mean "Level System". And start moment is 2019-02-03 16:00. Hope go green again!! Invested money:50 € "Safe money":146 € Pure profit:146-50=96 € 2019-02-01 00:00 to 2019-02-03 16:00 filter for result of challenge two.